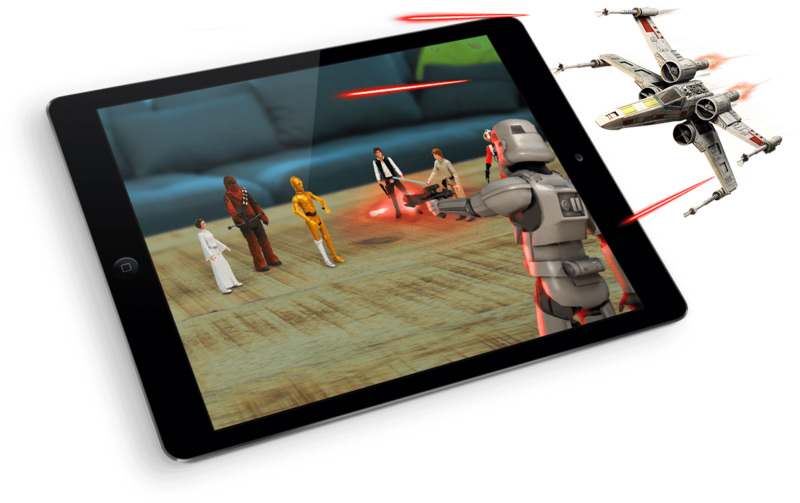 Shoot your own intergalactic action scene with your Star Wars action figures, vehicles and playsets. 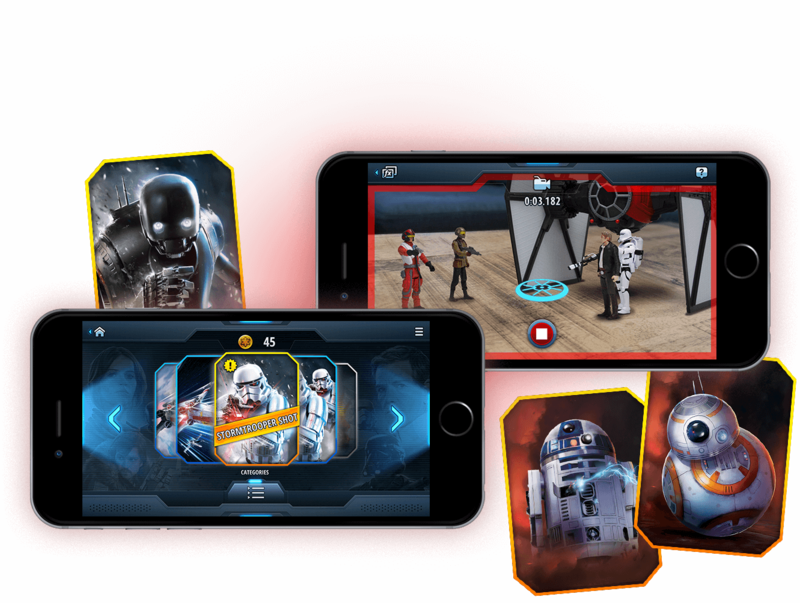 Watch as cool Star Wars characters and vehicles invade your screen and start blasting, then save your video clip to your mobile device to replay! 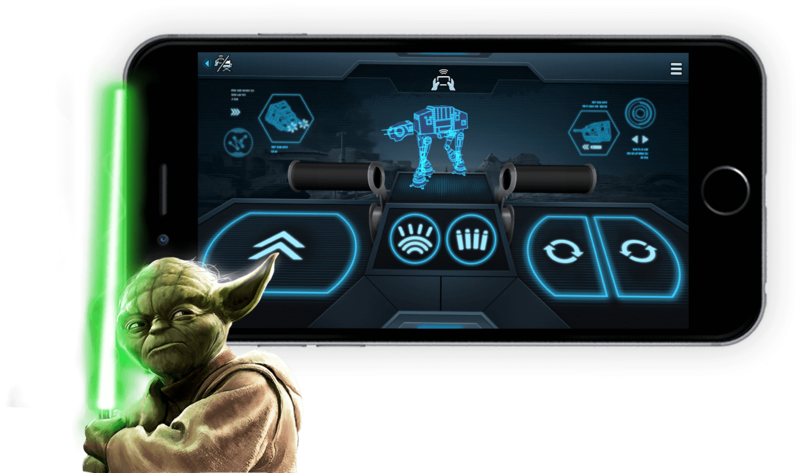 Save a short sequence of motion commands for your AT-ACT toy that can be activated while capturing a video clip, then add an amazing FX over it! "Adding effects is so simple that even a child can figure it out." 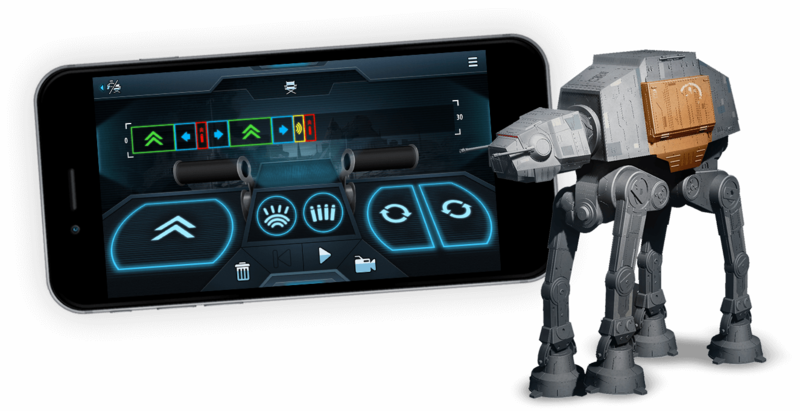 "If you’ve ever wanted to re-enact the Battle of Hoth with those toys you know you have in the closet or have BB-8 roll around your backyard with your dog, Hasbro just made all your dreams come true." 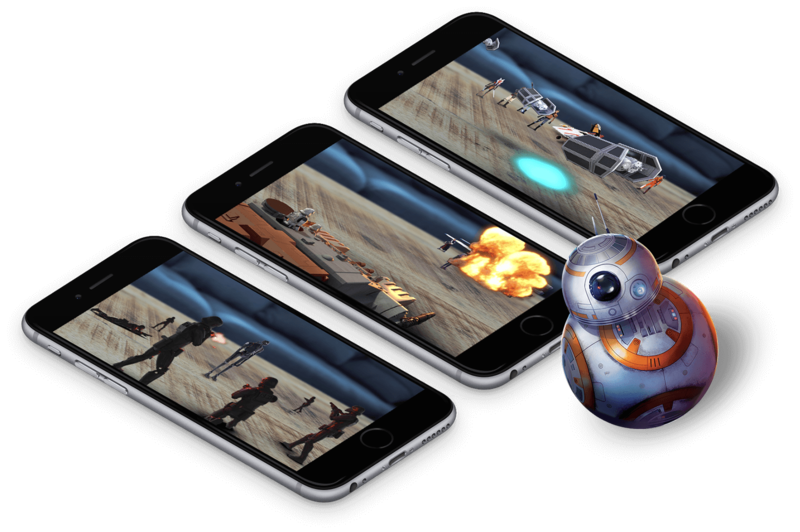 "This will provide some great entertainment for the Star Wars fan in all of us."